With photography by Joy Michelle Photography and with planning and design by Hailey Grace Events, this styled shoot is a gorgeous example of seasonal wedding design done right. 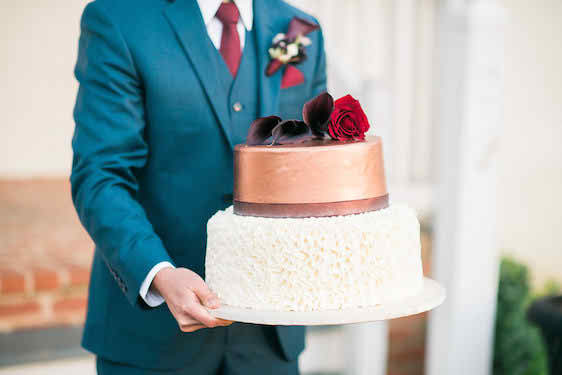 From the designer, "for this inspiration shoot, we wanted to play around with some deeper burgundy tones, copper accents, pops of red, and a rich blue suit for our groom. For our table, we styled a stunning raw wood table with lush florals, tall candlesticks, and a dramatic table runner." 1 One Comment " Season's Greetings from Maryland "